Fall Fashion Show Chairman D’Lisa Johnston is inviting the community to the popular annual Clear Lake Panhellenic event, scheduled to start at 10:30 a.m. Friday, Nov. 4, at in the South Shore Harbour Resort’s Crystal Ballroom. The Kentucky Derby in the Bay Area? Well, no, not the Run for the Roses. 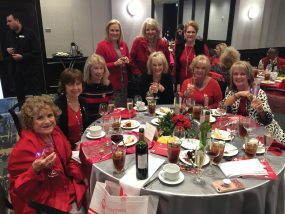 This year for their annual fall fashion show luncheon on Friday, Nov. 4, Clear Lake Panhellenic members have chosen a “32nd Annual Run for Scholarships – Derby Style” theme for their annual fundraiser at South Shore Harbour Resort. And, borrowing from the famed gathering in Louisville, Ky., for the nation’s No. 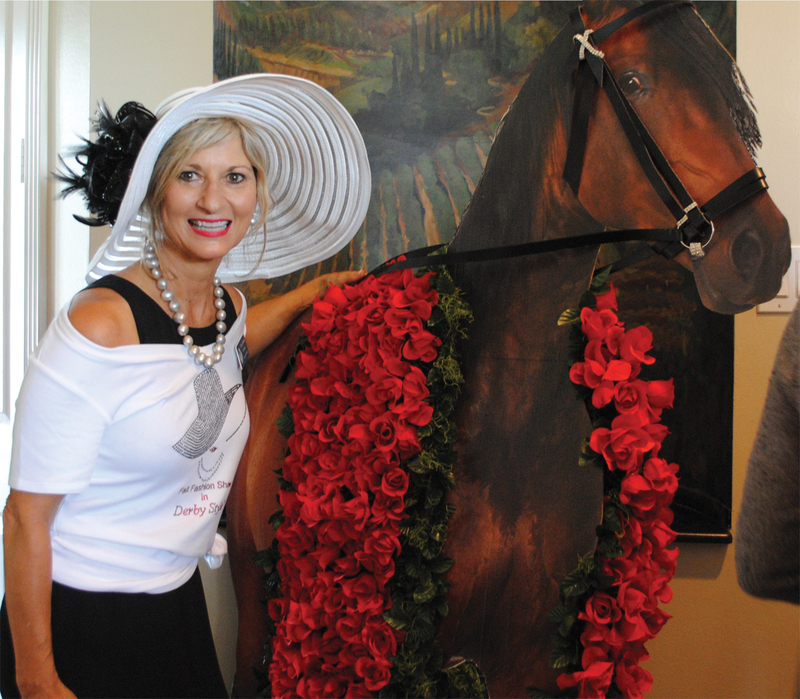 1 horse race, look for all the ladies to be sporting eye-catching hats to the popular luncheon. That became evident at their annual Fall Friendship Tea, which this year served as the kickoff for the style show. Almost all arrived in beautiful hats like you see at the Derby. And, that wasn’t all. They not only had a painting on the wall of a horse you almost thought was real, Tracey Webb arrived with her son’s small horse who stood still and seemed to take it all in as dozens of women chatted in the background – never batting an eye. Proceeds from the event are used for both college scholarships for local graduates and funds for local students to attend Girls State. Over the years, Panhellenic has provided more than $500,000 in scholarships. Chairman D’Lisa Johnston, who has assembled a great committee to put on the event, announced the inking of renowned Lenny Matuszewski to once again produce the fashion show. “His productions are sensational and are always highly anticipated. Clear Lake Panhellenic is indebted to him for the high quality show he presents,” Johnston said. Panhellenic members model in the show. The fun begins with a champagne reception at 10:30 a.m. In addition to the fashion show and luncheon, there will be live and silent auctions and a raffle. For tickets, which are $75 for general seating and $100 for runway seats, contact Diane Overman at dianeover@gmail.com or call 281-773-4072. “Don’t miss the most amazing three hours in Clear Lake Derby history,” President Jill Reason adds.